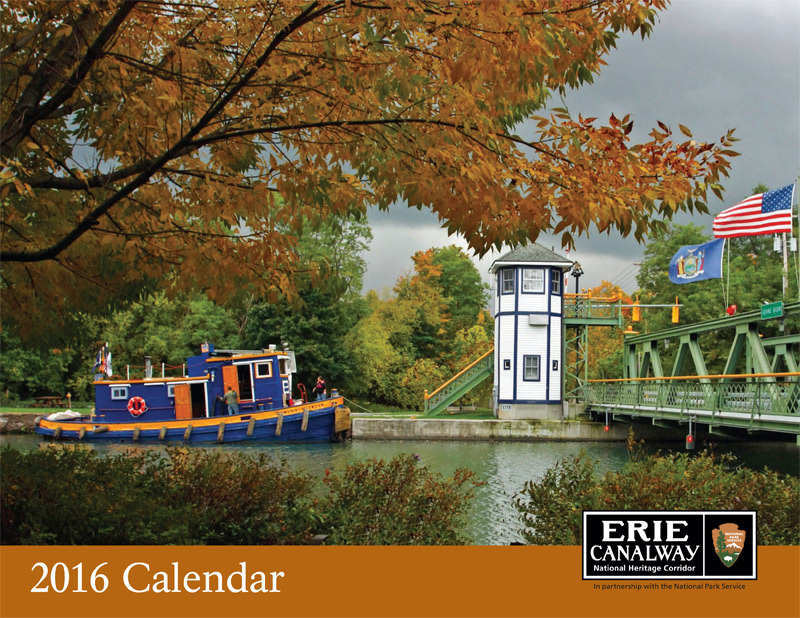 WATERFORD, NY – The public is invited to pick up a free 2016 Erie Canalway National Heritage Corridor calendar starting December 1 at selected libraries and visitor centers throughout the National Heritage Corridor. On the cover: This year’s cover features 1st place winner Storm Cloud Over Adams Basin by Jane Maitland-Moran of Spencerport. This year’s calendar celebrates the 10th anniversary of the Erie Canalway photo contest and shares winning images that capture the unique beauty, history, and character of New York’s canals and canal communities. Calendars will be available on a first-come, first-served basis, thanks to generous sponsorship by the NYS Canal Corporation. The Erie Canalway National Heritage Corridor preserves our extraordinary canal heritage, promotes the Corridor as a world-class tourism destination, and fosters vibrant communities connected by more than 500 miles of waterway. 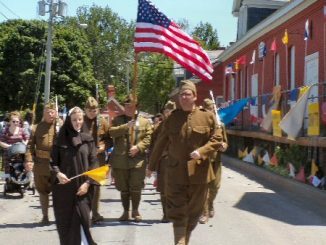 We achieve our mission in partnership with the National Park Service, New York State agencies, non-profit organizations, local residents, and more than 200 communities across the full expanse of upstate New York.